This recipe of “chraime” is one my aunt gave me. She is one of the best cooks I’ve ever come across in my whole life. 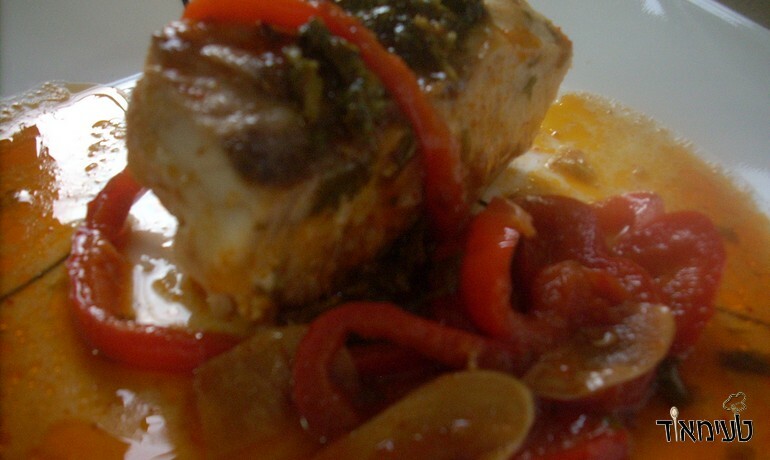 Those who do not know – it’s a traditional Moroccan fish dish – “chraime”. It contains peppers, cilantro, and tomatoes and of course lots of hot spices. It is very simple to prepare and is perfect for those looking for a great appetizer to give guests on holidays and weekends (or even during the week at a dinner party). 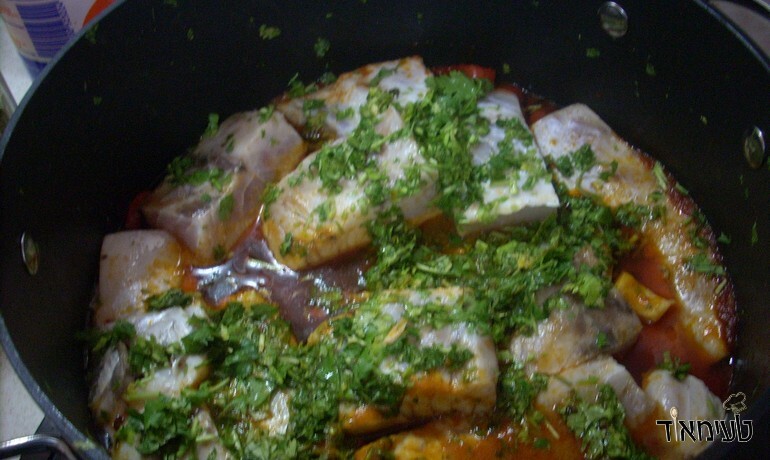 There are many versions of “chraime” (like all ethnic dishes) but I chose to use the Prince of Nile Fish because it is very tasty, easy to make, available, inexpensive and has relatively very few bones. You can use many different types of fish for this dish including the mullet, grouper, sea bass, cod and even more types of fish are suitable. Like I said, I’m going with the Nile perch – but it really is a matter of personal Taste. Water - About a cup - you just know the final amount at the end. Rinse the fish in the water to clean the lemon and salt and cut it to appoint a serving. Chop the cilantro coarsely without stems. 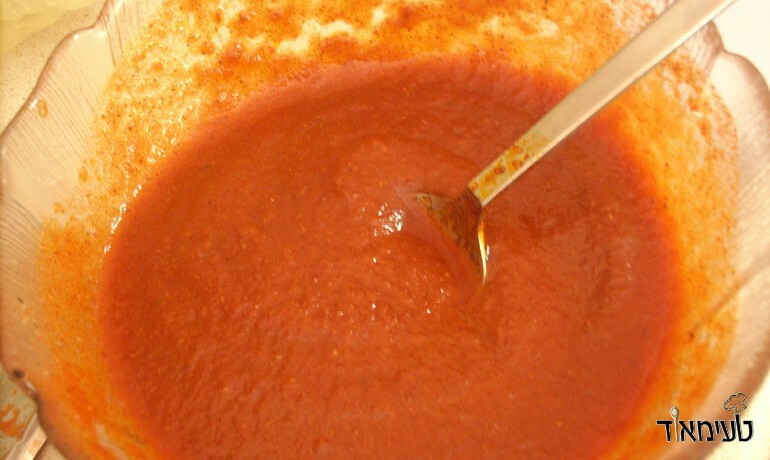 Mix tomato paste, water, paprika, pepper Tzumh, cumin, salt and pepper. Heat olive oil in a deep frying pan or flat pan that you can cover with a lid. 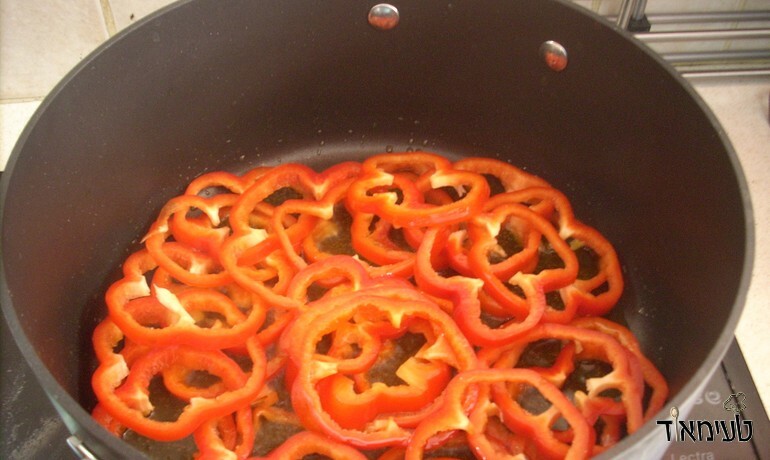 Fry the red peppers until they soften slightly. Add the garlic and fry for a bit (do not burn the garlic). 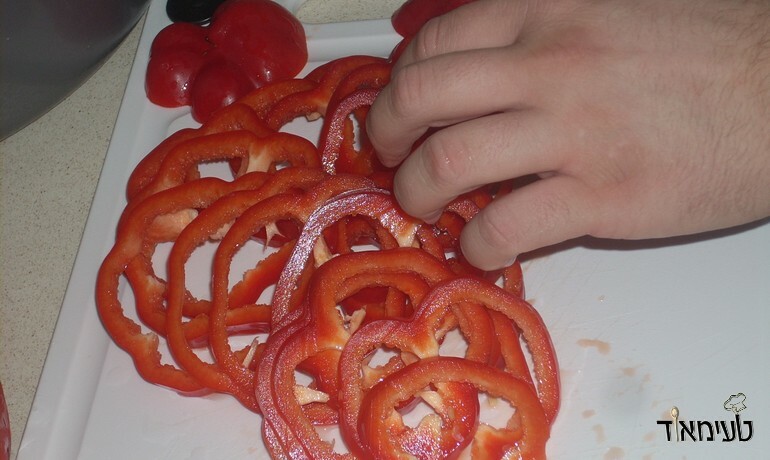 Pour the mixture in a bowl on red peppers and garlic and bring to a boil. 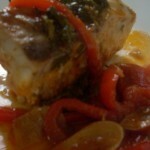 Arrange the fish in a single layer on the red peppers. 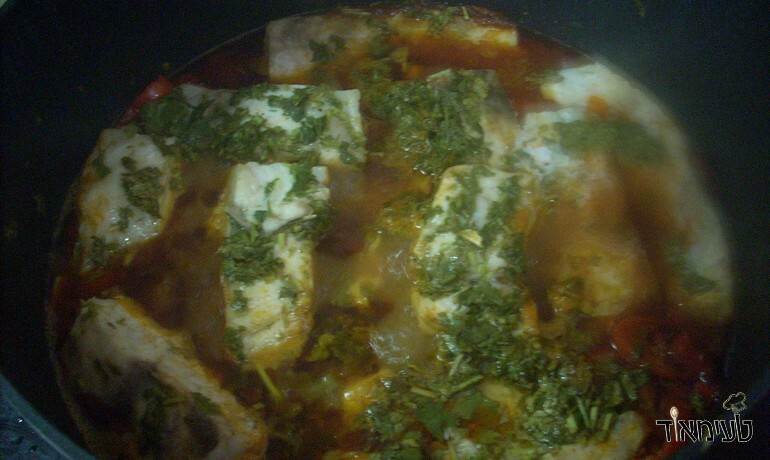 If you see the sauce does not reach two-thirds of the fish - add a little more water. But be careful - the fish in the pot can not swim and too much water will drown it. Add half of the coriander and cook for about an hour on a very small fire. Before serving, add more fresh coriander. Please note that the degree of sharpness is determined by the age of the diners! 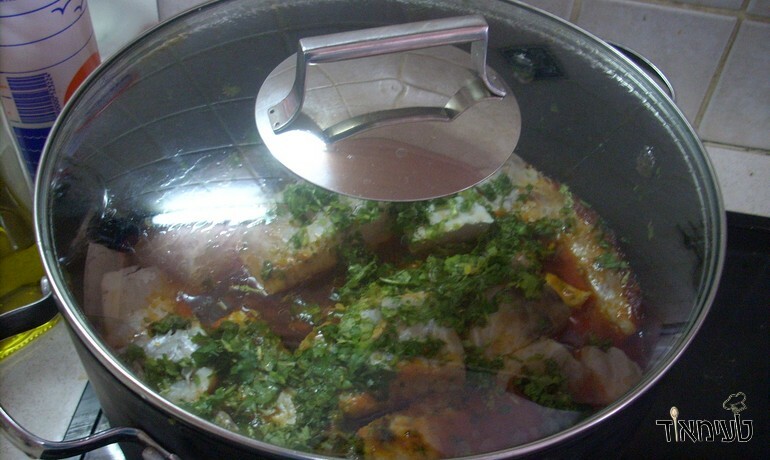 There you have it……A traditional Moroccan dish – “chraime”.